Should You Say No To Straightening? Have you ever heard of putting fashion before comfort? Nowadays, many women would rather buy expensive shoes that look cute then wear shoes that are comfortable. This goes for basically everything when it comes to fashion. It is the reason why women take so long to get ready, spend so much money on materialistic goods, and complain that their feet hurt after a look night out. Just as fashion comes before comfort, does beauty come before health? Although it might sounds ridiculous to pile on make up and spend so much time doing your hair, it tends to make women feel more beautiful. But, are some of these habits to change the ways we look may be damaging our natural selves. 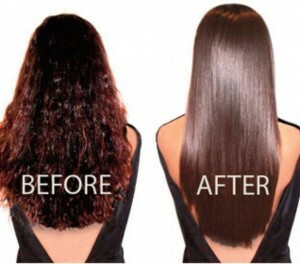 A major example of this is applying heat and chemicals to our hair to change its look. There are definitely people out there that have to habit of straightening their hair every single day. Naturally, this doesn’t sounds healthy. When I looked into the consequences of straightening hair so much I found that there are many side effects. First of all, by applying heat to your hair, you are drying it out. Hair loses its natural moisture to a great extent, causing it to look dull and frizzy. Clearly, this does the exact opposite of what you want it to do by participating in the act of straightening it. Also, by straightening your hair, you are at risk for many different allergies. Some symptoms to these allergies include itchiness on skin and scalp, redness of scalp, rashes, itching of the eye, and red eye. Lastly, one of the most terrifying side effect of hair straightening is the chance of severe hair fall. This nightmare happens when the flat iron breaks the hair from the roots. Also, using a flat iron throughout your life causes the hair follicles and natural keratin chemicals to become weak and hair fallout even more. 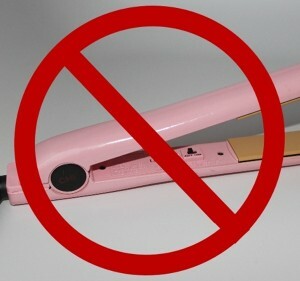 Unfortunately, with all of the risks that come from straightening your hair, some flat irons are much worse than others. According to research, some flat irons on the market have high levels of a chemical known as formaldehyde (also referred to as methylene glycol). Well fully heated, the flat iron releases the chemical in the form of gas. This was directly cause severe irritation to the eyes, nose, and throat. In more serious terms, exposure to formaldehyde in the long run has been linked to increased cancer risk. 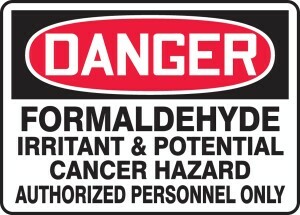 Since the 1980s, the National Cancer Institute has conducted numerous different kinds of studies to determine if there is a direct association between exposure to formaldehyde and cancer. One kind of study done was known as an epidemiologic study. According to the NCI, these are “studies that attempt to uncover the patterns and causes of disease in groups of people”. In addition they used cohort studies. These include “a group of people who may vary in their exposure to a particular factor, such as formaldehyde, and are followed over time to see whether they develop a disease”. Lastly, they conducted case-control studies. These studies, “begin with people who are diagnosed as having a disease (cases) and compare them to people without the disease (controls), trying to identify differences in factors, such as exposure to formaldehyde, that might explain why the cases developed the disease but the controls did not.” Although none of these studies are randomized, they are all still reliable with large sample sizes and lead to the conclusion that there is a correlation between exposure to formaldehyde and cancer, specifically lung cancer. Although this correlation was concluded, don’t let this cause you to fear flat iron’s completely. Many of the people studied in the NCI’s experiments were around excess amounts of formaldehyde in the work place, so there is still a possibility that the limited amount of formaldehyde in flat irons barely has an effect. In addition, many of the flat iron’s containing formaldehyde have been taken off the market internationally. In the US, the FDA has yet to recall some of the products, so make sure to keep your eyes out for them. The Women’s Voices of the Earth gave examples of products containing formaldehyde that are still on the market. The product’s manufacturers included, BioNaza Cosmetics, Brazillian Blowout, Cadiveu, Cocochoco Professional, Coppola/Copomon Enterprises LLC, Global Keratin, La Brasiliana, Marcia Teixeira – M & M International, and many more. In conclusion, it is extremely important to take care of your hair. Try your best to reduce your use of flat irons in order to efficiently reduce the risks of dryness, allergies, and hair loss. Also, if you are going to use a flat iron, research to make sure that there are no chemicals, such as formaldehyde, that may endanger your health in the long run. Remember, it’s health over beauty, not beauty over health. This entry was posted in Uncategorized on November 9, 2015 by Holly Rubin. This blog caught my eye because I used to be one of those people who used to stragiten their hair everyday. But ever since I got to college I haven’t been straightening it as often but I did start to see the negative side effects that using a flat iron had on my hair. What I found interesting was the stuff brought up about the formaldehyde that is in some flat irons. I never knew about that and I found that to be very interesting that it can lead to cancer. For those who frequently straighten their hair, here are some ways to help prevent/ reduce the damage caused by flat irons. I found this post to be extremely interesting, and it contained a lot of information that I have never previously considered. The idea of having increased allergy symptoms from straightening hair intrigued me, so I decided to do some further research. This article, http://healthland.time.com/2011/04/13/warning-getting-your-hair-straightened-could-be-hazardous-to-your-health/ , posted by Time Magazine, shows that straightening your hair can lead to an increase in allergic reactions, “including nose bleeds and eye irritation.” Who would have thought that straightening your hair could cause allergic reactions? I wonder if the allergic reactions also connect to the formaldehyde. One of the major concerns among health professionals are Brazilian blowouts, which the Time article also discusses. Studies showed that the products used in Brazilian blowouts are 8% formaldehyde, when the Cosmetics Ingredient Review Expert Panel has determined that 0.2% is the maximum limit of formaldehyde considered “safe” in products. Even with all of the detrimental effects that result from straightening hair, I do not think that women will stop soon, unless a safer and more efficient way to style hair reaches the market. Heat styling hair is not good for your hair, there are numerous studies showcasing it leads to dryness and weakening of hair, that being said why just focus on the formaldehyde products. 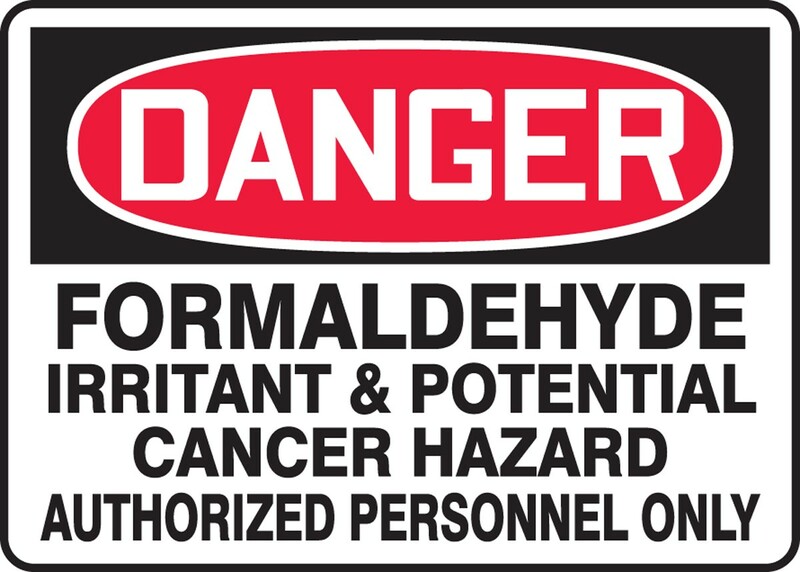 It is very interesting that products with formaldehyde in them cause cancer, and reading up on this topic I found several studies showcasing that the formaldehyde has been linked to cancers so those products are taken off the markets. In looking more into the matter of formaldehyde rat studies have shown a direct link between inhalation and cancer. With that in mind, after those products were taken off the market, what is the worst that can happen by heat styling hair? There are many moisturizers that can be used to help decrease the dryness and other side effects, so I don’t see the need to stop. Now that the formaldehyde products are highly off the market, and the worst side effects shown here are an itchy scalp and dryness, the risk is low. I am not one to heat style my hair often, but based off the information in these studies I would not stop if I was. The previous link doesn’t work, so here is an updated one. Sorry! I don’t believe there is any doubt that styling ones hair is a lot more detrimental than leaving it natural. However, I never considered the risk of cancer in correlation with hair straighteners. After doing some more research on formaldehyde myself, I discovered that it has also been used to insulate houses and is also common in pressed-wood products. This is a bit intimidating to know this cancerous risk has most likely been exposed to me and I had no idea. This blog also brought up a question for me: how protective are heat protectant hair products? Do they reduce these risks of dryness, allergies, and hair loss? I’ve decided to address this question in my next blog. Thank you for the inspiration!